There are institutes and symbols adopted by nations, churches or groups of men which represent certain ideals accumulated in the past. These institutes, that is precepts recognized as authoritative, and symbols represent the thoughts and feelings of those who created or adopted them and put in them all the experience of the past, often through struggle and sacrifice. A few feet of ribbon for instance, red, blue and white in color, have little value as is. But if one puts them in a certain pattern of stripes and stars, they become the flag of the United States and represent the ideals and unity of the people of America. The flag reminds us of the people's struggle for liberty. It represents the national unity which attained for them their rights as a people. The same could be said for the institutes of a nation, army or any group of people. These institutes are created by the people and are used by them in certain ways for certain aims. Some of these institutes are the means for achieving certain values and ideals. In the life of the Church of Christ there are many institutes created and maintained to meet the needs of the people - the Ecclesia. Among these is the Great Lent which falls within the year-cycle of the life of the Church before Pascha-Easter. Lent is the period of time for self-examination by the believer; of putting on the spiritual armor of the Militant Church; of applying the riches of prayers and almsgiving; of adopting deeply the meaning of repentance; of atonement and reconciliation with God Almighty. This great period of Lent before Easter is called by the Orthodox Church, Tessaracoste (Quadragesimal), which comes from the word forty (the 40 days of "fasting"). This Institute of the 40. days of Lent precedes the Resurrection of Christ. The celebration of the Resurrection of Christ does not fall on the same date each year, but according to the determination of the position of the moon and spring equinox, which is based on the original setting during the last Events of the life of Christ on earth. This 40-day period of Lent is a period of "abstinence" from foods, but primarily from personal iniquities. Abstinence from foods (fasting) alone is a means of attaining virtue; it is not an end in itself. During the period of fasting one makes a special attempt to evaluate his calling as a Christian; to listen to the voice of the Gospel and heed its commandments; to accept the constant invitation to enter Christ's Kingdom. It is an open invitation to everyone willing to enter; who believes in Christ and repents his iniquities; who makes an "about face" directly to Christ. To accomplish this - Which is a year-round concern - the Christian Church, dating back many years, out of experience and according to the nature of man instituted certain days of prayer and fasting as steps in a ladder to help those who need guidance to reach this spiritual plateau. All of these steps must have genuine personal meaning to avoid becoming merely a habit and routine. Fasting encompasses the entire pious life of the Christian, as Christ proclaimed, that symbolizes a deep acceptance of His admonition to "repent". This can be achieved not so much in terms of time, but in deeds in love of God and one's fellow man. During the period of the Great Lent the awakening of the spirit of man comes about through inspiration from the Head of the Church, Jesus Christ. It is a time of self-examination and preparation, and of taking an inventory of one's inner life. He and Christ know his exact condition. At this time one sees himself in the mirror of the Gospel - how he looks. One finds the means and ways to correct and improve himself. Lent is a period of time when one delves into himself with the light of the Holy Spirit in order to rid himself of the impediments which hold him back. It is a period when one strengthens his faith by more prayer and devotional life. Let us then examine the meaning of fasting, which became an Institute of the Church. Fasting means the total abstinence from foods, as the original Greek word in the Bible, nesteia, literally means. The word fasting today is used for selection of foods and a limiting of their quantity. Fasting also can mean eating once a day bread, salt and water, after sunset. Although the period of Lent appeals to the function of man as a whole in repentance, self-examination, almsgiving, relationship with people with whom one is at odds, attitudes toward life, the abstinence from foods plays a vital role in the life of the Christian. The quantity and kinds of foods selected for this period of Lent help control carnal desires and develop discipline and a pious life. Fasting from foods is not a virtuous activity in itself, but a means for its achievement. But it has a distinct place in the life of the Christian, especially during the Great Lent. One may ask how the Institute of fasting originated. Was it a tradition handed down by the Apostles? Was it determined as such by the early Church? Was the duration of fasting established from the beginning? These and similar questions require an answer. Fasting before Easter was not determined by the early Church as such either in specific days or for certain foods. In the New Testament the word for fasting, nesteia, means abstinence from food entirely, and was originally a Jewish custom reluctantly practiced by the Jews, although it was not an official requirement. Bishop Irenaios of Lyon (192) wrote a letter to the Bishop of Rome that there is a great difference about the duration of fasting before Easter. Some people, he wrote, fast one day, others two, still others more days. Some of them fast 40 hours continuously, day and night, from all foods (Eusebuis, Ecclesiastical History, 524,12). Tertuuian, an ecclesiastical writer of the 3rd century, refers to abstinence from foods as being two days, Friday and Saturday. Some of the early Christians abstained from foods the whole day and ate only in the evenings, while others ate not at all, day or night, as did those who were fasting for 40 hours. Other Christians extended the period of fasting beyond the two days to one week (during the mid-third century),'but everyone was allowed to extend the duration of fasting as long as he wanted. Thus, these Christians added hours and days of fasting at their own will, beyond the customary duration of time (Dionysios, Bishop of Alexandria, P. G. Migne 10, 1278). Over the years, the days of fasting increased to seven before Easter. These Christians ate in the evenings, and then only bread, salt and water, as recorded by Epiphanios in 403. The difference in counting the hours of fasting resulted from the different calculations of the time of the Resurrection of Christ in the Gospels (Matthew 28:1, before midnight; John 20:1, after midnight; Mark 16:2, at sunrise). The period of fasting before Easter was extended to 40 days without substantial evidence of any authoritative determination. The fact is that the 40 days of fasting was known to the Fathers of the First Ecumenical Synod (325). St. Augustine during the fifth century attributes the lengthy period of 40 days to the persecutions, 306-323. Others refer to the example of Christ fasting 40 days in the wilderness (Matthew 4:2); or to Moses (Exodus 34:28), or to Prophet Elias (1 Kings 19:8 - III Vasilion LXX) Probably the 40-day fasting period among the people was started during the persecutions, because the people took refuge in monasteries and followed the order of abstinence of the monks, which was very strict. Also hermits and other pious people of sobriety kept a fasting period of 40 days during the mid-third century, and this was handed down to the people. In reality, the 40-day practice for fasting before Easter was not a simultaneous practice in all the Christian lands, but a gradual process. Fasting as such was practiced by the people at the, very beginning for only two or three days per week, Wednesday and Friday and in some places Saturday (in the West). In the course of time, a gradual increase in the number of weeks also took place. However, between East and West the number of weeks of Lent differed, with seven weeks being established in the East and six in the West by the mid-sixth century. The reason for the difference in the number of weeks between East and West was because in the West Saturday was a fast day along with Wednesday and Friday, while in the East Saturday was not a fast day except the Saturday of Holy Week, according to the Canons of the Church (Canon 66, Apostolic Fathers; Canon 55A Sixth Ecumenical Synod in 692 - Canon 18, Gangra Synod in 340-370). The adding of Saturday by the Church in the West as a fast day was related to the thought that the Body of Christ was in the tomb on this day. This innovation of fasting on Saturday was fought by Tertullian, Hippolytos (Ecclesiastical writer) and Bishop Jerome. However, Bishop Inocentios of Rome (401-417) ratified the Saturday fast, and gradually this day became a fixed day in the West. In rebuke of this practice in the West, Bishop Ignatios of Antioch in a letter denounced this Saturday fast (ch. 13). During the seventh century, Bishop Gregory I of Rome added four days before the beginning of the six weeks of Lent, starting with Wednesday, known as Ash Wednesday. The Church in the East, on the other hand, added an additional week before the seven weeks, known as Cheese Week, to complete the 40 days of fasting in Lent before Easter, excluding the seven Saturdays and eight Sundays, which are non-fast days. The reason for the number of 40 days of fasting during the Great Lent is obscure. The famous canonist of the twelfth century, Balsamon, writes, "There is but a forty day abstinence, that of the Pascha, but if one also likes to keep the weekly fast for other feasts ... he is not to be disgraced" (Migne PG 138,1001). "Fasting was devised in order to humble the body. If, therefore, the body is already in a state of humbleness and illness or weakness, the person ought to partake of as much as he or she may wish and be able to get along with food and drink" (Canon 8 of St. Timothy of Alexandria, 381). Great Lent is a period of time when the people are more conscious of their spiritual character. The passages of the Gospels and the Epistles, the hymnology and prayers, the spirit of the Church - all endeavor to help the Christian cleanse himself spiritually through repentance. "Repent" is the first word Jesus Christ spoke in His proclamation to the people, as the epitome of His Gospel. Repentance is the main motivation of the Christian which acts to free him from sin. One's recognition of his sin, his contrition over it and lastly his decision to make an about-face change of his attitude are the steps of repentance. For one can learn to recognize iniquities from the Bible and the teachings of the Church. During the period of Lent the Christian is called to self-examination and self-control by the radiance of the Event of the Resurrection of Christ. This is why the Church designated such a period of time be observed before this great feast day. "Thus says the Lord of Hosts: the fast of the fourth month, and the fast of the fifth, and the fast of the seventh and the fast of the tenth, shall be to the house of Judah seasons of joy and gladness, and cheerful feasts; therefore, love, truth and peace", Zechariah 8:18-19. In continuation of the practice of fasting, the Christian Church determined the period of Lent to depend upon the great Feast of Easter, as set forth by the First Ecumenical Synod in 325. The Church determined the day on which the Resurrection of Christ would be celebrated, according to the conditions that existed at the time of this Event. Thus, the Synod set forth that the great Feast of Easter would be celebrated on: the first Sunday, after the full moon, after the Spring Equinox (March 21), and always after the Jewish Passover. Thus, this great Feast is a moveable date in the calendar. Therefore, Great Lent, which depends upon the date of Easter, also is moveable, each year being celebrated on a different date, (Sunday), depending on the above conditions. Palm Sunday through Holy Saturday and Easter Sunday. Every Wednesday and Friday the Liturgy of the Presanctified Gifts is officiated. On four Friday evenings a fourth of the Akathist Hymn is read, with the entire Hymn read the fifth Friday. Arrogance is the perversion of the soul and spirit of man; it is the greatest weapon of the evil one; it is the mother of hypocrisy; it is the obstacle of spiritual progress: it is the degradation of civilization; it is the greatest enemy of man; it is the opposite of repentance; it is the corruption of the conscience of man. This is why the Church designated the first Sunday of preparation for acceptance of the Message of the Resurrection of Christ, with the Parable of the Tax Collector and Pharisee being read. The root of evil, arrogance, should be uprooted and replaced with the virtue of humbleness, which is the teaching of this Parable. The highest degree of man's arrogance is when a person speaks to God in prayers as did the Pharisee, who said, "God I thank thee", only for the opportunity to enumerate his achievements publicly, comparing himself to others who, according to him, were sinners, saying "I am not like other men, sinners, or even like this tax collector". He extolled himself saying, "I fast, I give tithe", which he did. But the more he boasted, the more he condemned himself through arrogance. On the other hand, the tax collector confessed: "God be merciful to me a sinner". The repentance of the tax collector is the basis of Christian life; it is the passage into the Kingdom; it is the reestablishment of the image of God in the soul of His creature. Humbleness is the queen of all virtues. Thus, the first phrase of the hymnology of the day is: "Let us not pray pharisee-like. . . . Open to me the doors of repentance". The combination of almsgiving, prayer and piety, along with the intention of repentance like that of the tax collector, is imperative in the life of a Christian. The attitude of the tax collector made him a steward of divine gifts. Repentance and confession of faith is the same two-sided coin. Sunday Of The Prodigal Son (Luke 15:11-32). This Parable relates to man's prodigality with the divine gifts to man. It is the consequence of arrogance. Prodigality is the unreckoning extravagance in sensuality. The prodigal is one who cannot be saved, whose life is dissolute, who squandered his father's property. Prodigality, then, is the second basic corruption toward which man is inclined. This is why this Parable is known as the Parable of the Prodigal Son, the subject matter of this week. Despite the characterization in this Parable, its main subject is the warm parental love of the Father. The father's love was unbroken and firm for his prodigal son. His love was shown more at the return of his son than in the beginning, despite the fact that his son squandered his "properties". In the end, however, the son exchanged his prodigality for repentance, and this is the crux of the parable. This moment changes the prodigal son into the prudent son, expelling arrogance with repentance. While the son was returning to his father, he kept rehearsing over and over again: "Father, I have sinned against heaven and before you". But when the son saw his father's house from afar, his father saw him, and ran to him and embraced him warmly. Thus, the son did not have the opportunity to tell his father what he had been rehearsing. The son at the beginning said, "give me", but in the end he asked, "make me", which is the depth of repentance and obedience, the challenging factors of a Christian. Sunday Of Meat (Matthew 25:31-46). It is a strong conviction and belief of the Church that Christ will come a second time into the world, not to save the world, but in "glory" to judge the world. In as much as God knew in advance the destiny of each man, why did He not prevent the non-believers and wrong-doers from being born and being condemned everlastingly, someone might ask. The fate of people is wrought on this earth, because after death, there is no opportunity for repentance in order to better one's state. Man's finite mind cannot comprehend God's love for his salvation and judgment for his condemnation. Yet, here is the center of the belief that there is a Supreme Judge for those who committed iniquities and wrong-doings without punishment or discovery while on earth. Approaching Lent and Easter, the Christian is admonished to correct his faults by fasting, praying and almsgiving, as recorded in the Gospel passage of the day. The Last Judgment will be made according to the good works of each person as a result of his faith in and worship of God. These good works are directed to the "least", those in need, as Christ Himself says, "as you did it not to one of the least of these, you did it not to me", (v. 45). This Sunday is the last day before Lent that the believer eats meat. Sunday Of Cheese (Matthew 6:14-21). 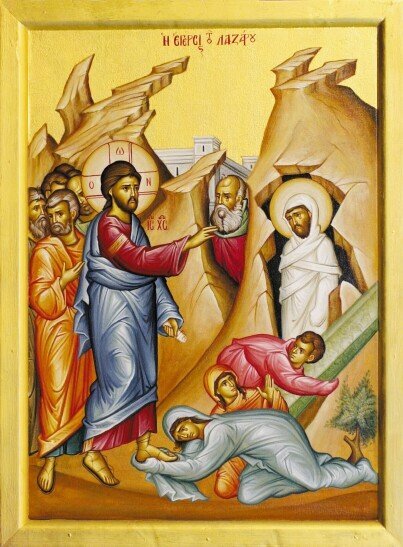 The theme of this Sunday refers to the expulsion of Adam from Paradise. Adam in Paradise misused his freedom by allowing himself to be persuaded by the evil one to disobey the command to not eat of the fruit of the tree of knowledge of good and evil. The evil one convinced him that by so doing he would know more than God. The Church in its hymnology presents the condition of Adam outside of Paradise as weeping and working hard for his livelihood. The Gospel passage of the day refers to the manner of praying, fasting, almsgiving and all good works. These are to be done in secret, without boasting. The meaning of this Sunday is the condescension of God to the human weakness, "for if you forgive men their trespasses, your heavenly Father also will forgive you; but if you do not forgive men their trespasses, neither will your Father forgive your trespasses" (v. 14-15). This is emphasized in the Lord's Prayer.,The week (six days) preceding Sunday of Cheese and after Meat Sunday, is the addition to the period of the Great Lent which completes the forty days of fasting (excluding Saturdays and Sundays). The name of this Sunday, "Cheese", implies that the fast of this week is the gradual transition from eating meat to the strict fast of Lent, which starts the next day, Monday, with the first Sunday of Lent at the end of the preliminary seven days (Sunday of Orthodoxy). First Sunday Of Lent-The Sunday Of Orthodoxy (John 1:43-52). This Sunday commemorates the return of the Icons into the churches, according to the decision of the Seventh Ecumenical Synod (787). The Church determined that this celebration would take place each year on the first Sunday of Lent, as the Sunday of Orthodoxy, starting March 11, 843. On this Sunday every year the triumph of the faith of Orthodoxy is celebrated with ceremony. The Icon of Christ, according to St. John Damascus, is a distinct affirmation and a reminder of the fact of His Incarnation, which has a vital significance for the salvation of the faithful, an affirmation which prevails to this day in the Orthodox Church. The celebration of the day includes the procession with the Icon of Christ around the inside of the church with pomp and reverence. The Sunday of Orthodoxy calls upon the people to rededicate themselves to the deep meaning of their faith and to declare in unison, "One Lord, one faith, one baptism, one God and Father of all". Second Sunday Of Lent-St. Gregory Palamas (Mark 2:1-12). This Sunday commemorates the life of St. Gregory Palamas (14th century). The Church dedicates this Sunday to St. Gregory for his orthodox faith, theological knowledge, virtuous life, miracles and his efforts to clarify the orthodox teaching on the subject of Hesychasm (from the Greek, meaning quiet.) Hesychasm was a system of mysticism propagated on Mt. Athos by 14th century monks who believed that man was able, through an elaborate system of ascetic practices based upon perfect quiet of body and mind, to arrive at the vision of the divine light, with the real distinction between the essence and the operations of God. Gregory became noted for his efforts to explain the difference between the correct teaching and this theory. Gregory was dedicated to an ascetic life of prayer and fasting, which are practices of Lent. Third Sunday Of Lent-Adoration Of The Cross (Mark 8:34-38; 9:1). These three voluntary steps are three links which cannot be separated from each other, because the main power to accomplish them is the Grace of God, which man always invokes. The Adoration of the Cross is expressed by the faithful through prayer, fasting, almsgiving and the forgiveness of the trespasses of others. On this Sunday the Adoration of the Cross is commemorated with a special service following the Divine Liturgy in which the significance of the Cross is that it leads to the Resurrection of Christ. Fourth Sunday Of Lent-St. John Of The Climax (Mark 9:17-31). This Sunday commemorates St. John of the Climax (6th century) who is the writer of the book called The Ladder (climax) of Paradise. This book contains 30 chapters, with each chapter as a step leading up to a faithful and pious life as the climax of a Christian life. The spirit of repentance and devotion to Christ dominates the essence of this book, along with the monastic virtues and vices. He was an ascetic and writer on the spiritual life as a monk-abbot of Sinai Monastery. These steps of the ladder as set forth by St. John are to be practiced by the Christian especially during this period of the Great Lent. Each step leading to the top step of the ladder, is the climactic essence of the true meaning of a Christian life. Fifth Sunday Of Lent-St. Mary Of Egypt (Mark 10:32-45). This Sunday commemorates the life of St. Mary of Egypt, who is a shining example of repentance from sin through prayer and fasting. She lived a sinful life for many years, but was converted to a Christian life. She went into the wilderness to live an ascetic life for many years, praying and fasting in repentance of her previous sinful life, and dying there. St. Mary's life exemplifies her conviction about Christ, which motivated the changing of her life from sin to holiness through repentance. Her understanding of repentance involved not a mere change from small things in her life, but an extreme change of her entire attitude and thoughts. The Church commemorates St. Mary for her recognition of her own sins as an example of how one can free oneself from the slavery and burden of wrongdoings. This recognition of sin is imperative during Lent for the faithful as a means of self-examination and preparation for a more virtuous life in anticipation of the Crucifixion and the Resurrection of Christ. This Sunday commemorates the triumphant entrance of Jesus Christ into Jerusalem. The people of Jerusalem received Christ as a king, and, therefore, took branches of palms and went out to meet Him, laying down the palms in His path. The people cried out the prophecy of Zechariah: "Hosanna! Blessed is he who comes in the name of the Lord, even the King of Israel" (v. 13; of Zechariah 9:9). The celebration of the Jewish Passover brought crowds of Jews and converted Jews to Jerusalem. They had heard of the works and words of Christ, especially about the resurrection of Lazarus. All the events related to Christ had a Messianic meaning for the Jews at the time. This vexed the high priests and pharisees. As usual, Christ went to the Temple to pray and teach. That evening Christ departed for Bethany. The tradition of the Church of distributing palms on this Sunday comes from the act of the people in placing the branches of palms in front of Christ, and henceforth symbolizes for the Christian the victory of Christ over evil forces and death. The period of Great Lent includes the days of Holy Week. This is the time when Christians who went through the whole period of Lent in prayer and fasting approach the Feast of Feasts to celebrate the Passions of Christ and His Resurrection. During the entire Lent the faithful try to practice and live the ideals and standards of this period in the light of Easter. This is why the Hymnology of the entire period of Lent, especially during Holy Week, refers to the Resurrection of Christ as the center of the Christian Faith. Each day of Holy Week is dedicated to the Events and teachings of Christ during His last week on earth. The faithful who participate in the services of this week are more conscious of their duties to themselves and to their neighbors through fasting, praying, giving alms, forgiving the trespasses of others; in other words, participating, day by day, in the spirit of the Gospel of Christ. Great Lent before Easter is when the Christian participates fully in preparing himself to praise and glorify his God as Lord and Savior. Great Lent is like a "workshop" where the character of the faithful is spiritually uplifted and strengthened; where his life is rededicated to the principles and ideals of the Gospel; where the faith culminates in deep conviction of life; where apathy and disinterest turn into vigorous activities of faith and good works. Lent is not for the sake of Lent itself, as fasting is not for the sake of fasting. But they are means by which and for which the individual believer prepares himself to reach for, accept and attain the calling of his Savior. Therefore, the significance of Great Lent is highly appraised, not only by the monks who gradually increased the length of time of the Lent, but also by the lay people themselves, although they do not observe the full length of time. As such, Great Lent is the sacred Institute of the Church to serve the individual believer in participating as a member of the Mystical Body of Christ, and, from time to time, to improve the standards of faith and morals in his Christian life. The deep intent of the believer during the Great Lent is "forgetting what lies behind and straining forward to what lies ahead, I press on toward the goal of the prize of the upward call of God in Christ Jesus", Philippians 3:13-14.